opinionated politics | we inform, you decide. Bernie Sanders (I-Awesome), America’s hardest working Senator spoke with Bill Moyers on his show. 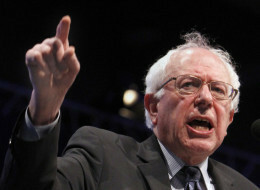 Sanders discussed our problematic system of Big Money in politics. Certainly voters have never witnessed the obscene amount of money being funneled into politics which we are subject to today. “Who are they calling?,” asked Moyers. So what you are looking at is a nation with a grotesquely unequal distribution of wealth and income, tremendous economic power on Wall Street, and now added to all of that is you have the big money interests, the billionaires and corporations now buying elections. This scares me very much. And I fear very much that if we don’t turn this around, Bill, we’re heading toward an oligarchic form of society. What’s the solution after we’ve waded into murky waters after opening the floodgates with Citizens United? Senator Sanders has been a strong and formidable voice in opposition to the Citizens United ruling. Well, the immediate political solution is a constitutional amendment to overturn Citizens United. The longer-term solution is people all over this country saying, “We’re not going to give up the democracy that has made this country great, so that a handful of billionaires can control the political process. We ain’t going to allow that to happen.” We need public funding of elections, which I think is probably the most important thing we can do politically. Billionaires cannot and should not be allowed to buy elections. Our country is becoming increasingly desensitized to the corruption of our election system, so much so that it’s becoming acceptable. Our process, when one vote meant one vote from one bonafide human being, not a corporation, my friend, meant something. It meant dignity. It meant empowerment. We felt we could change a corrupt system. We once felt human.